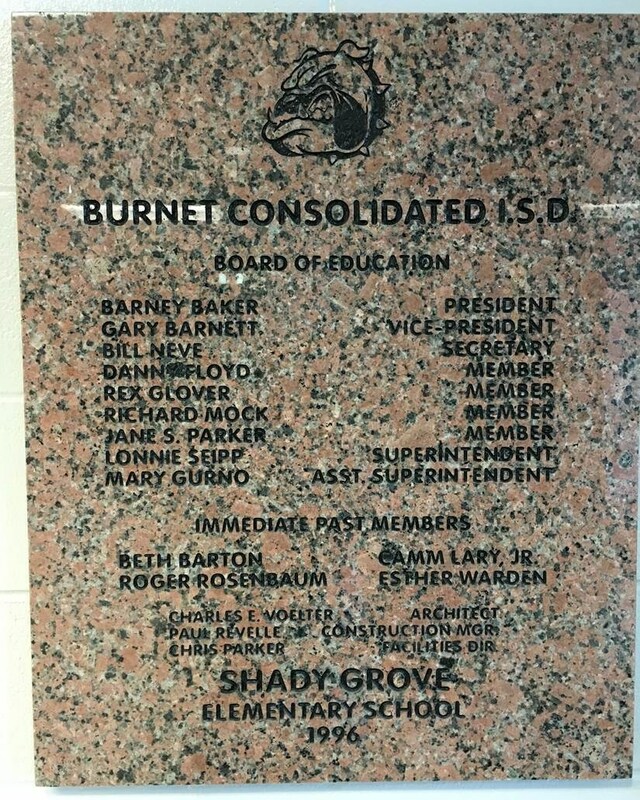 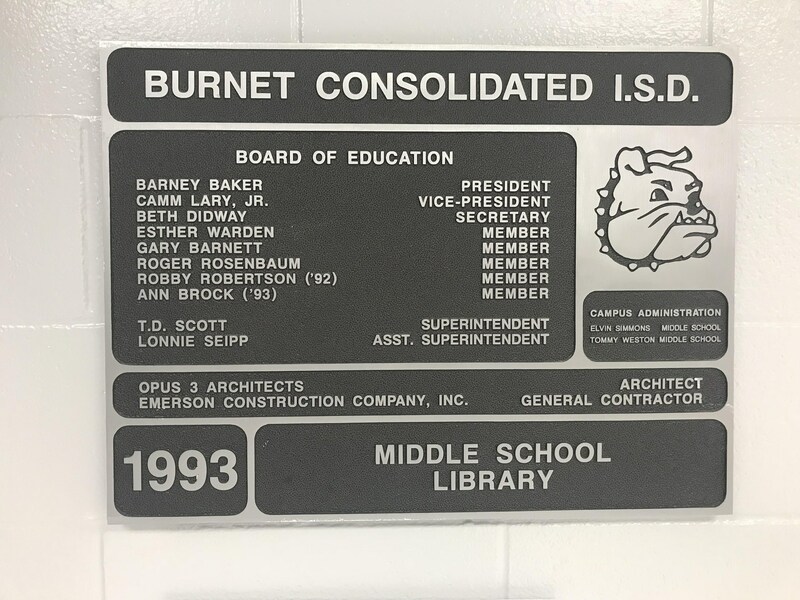 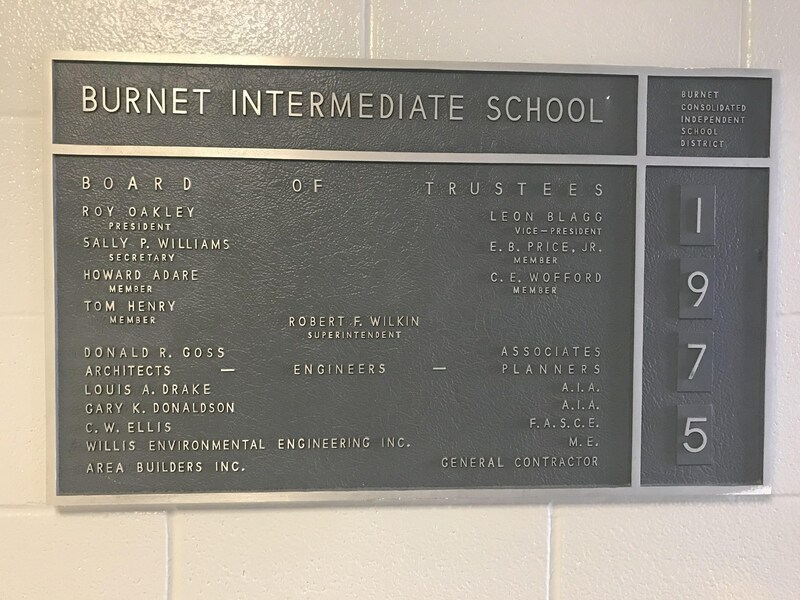 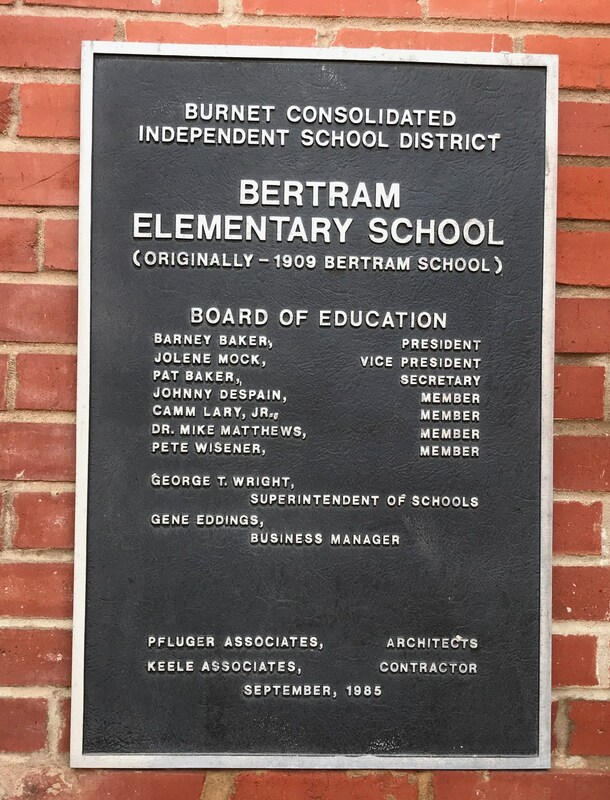 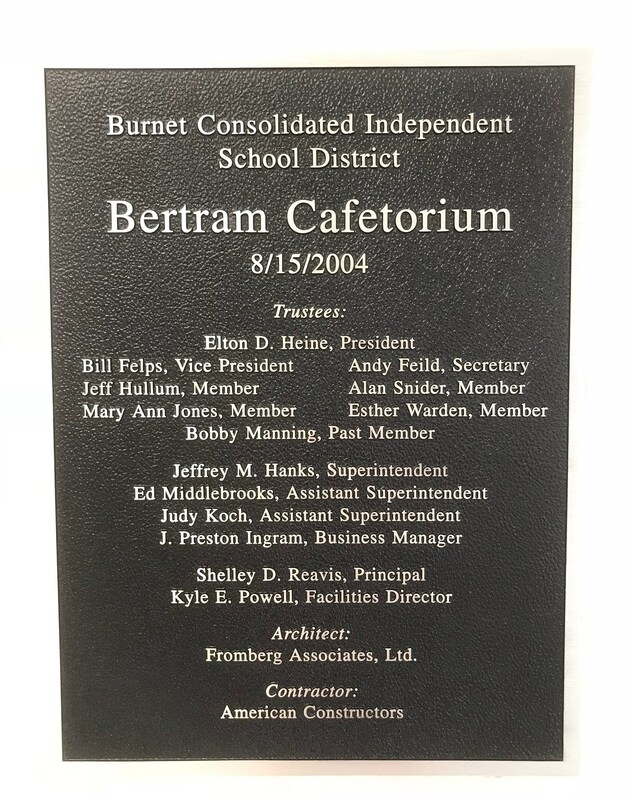 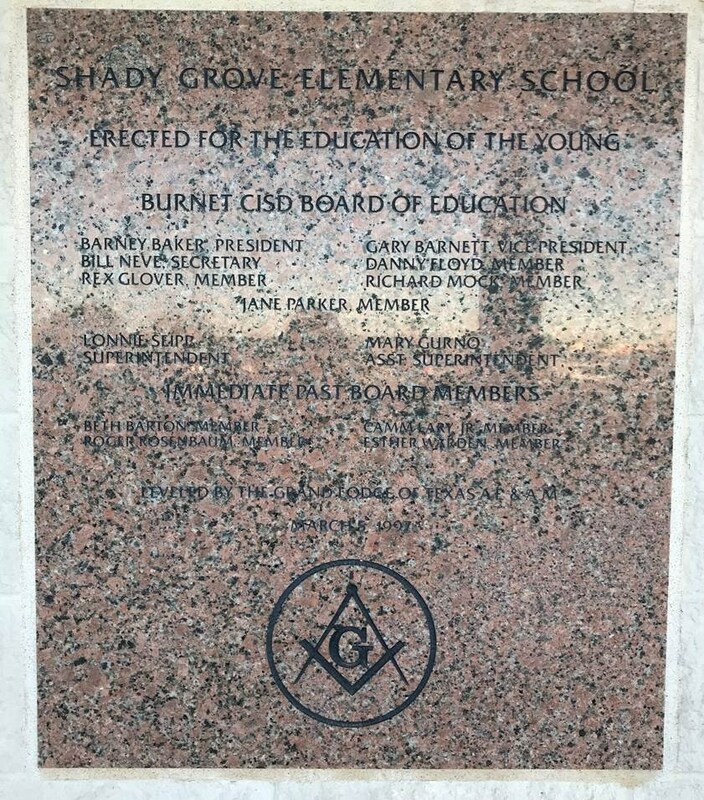 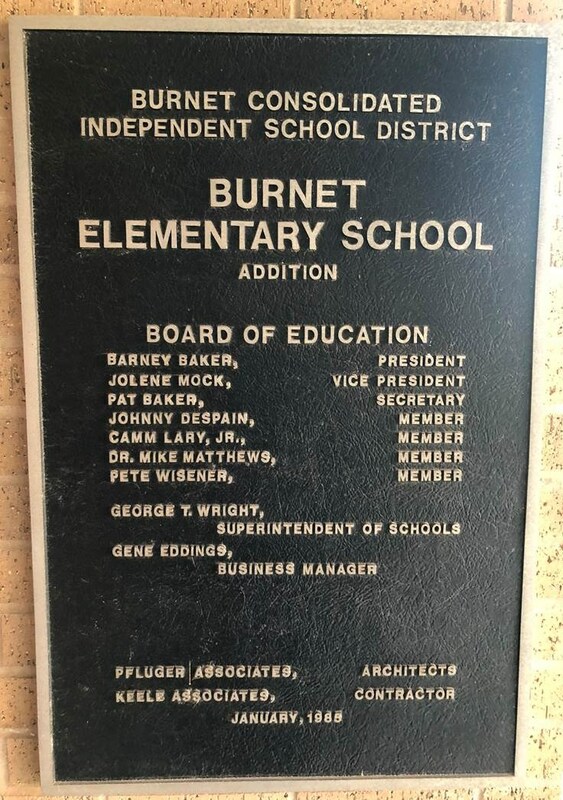 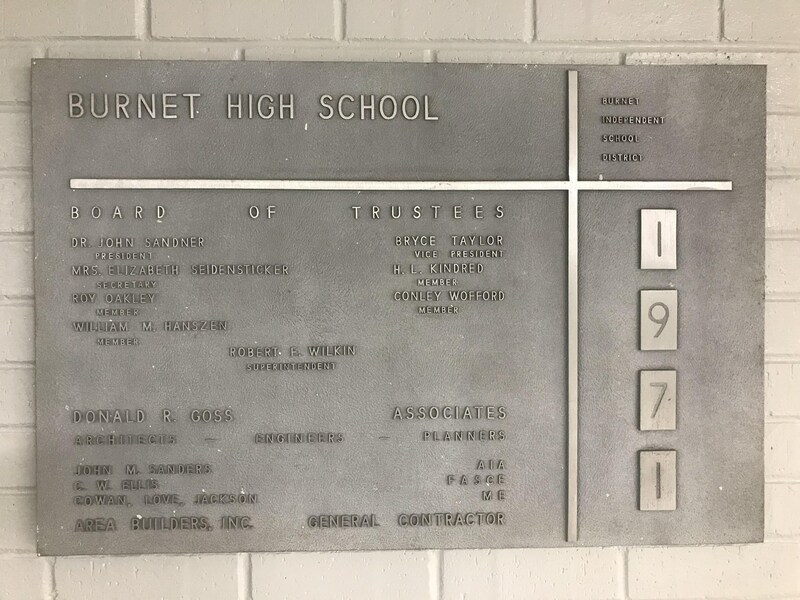 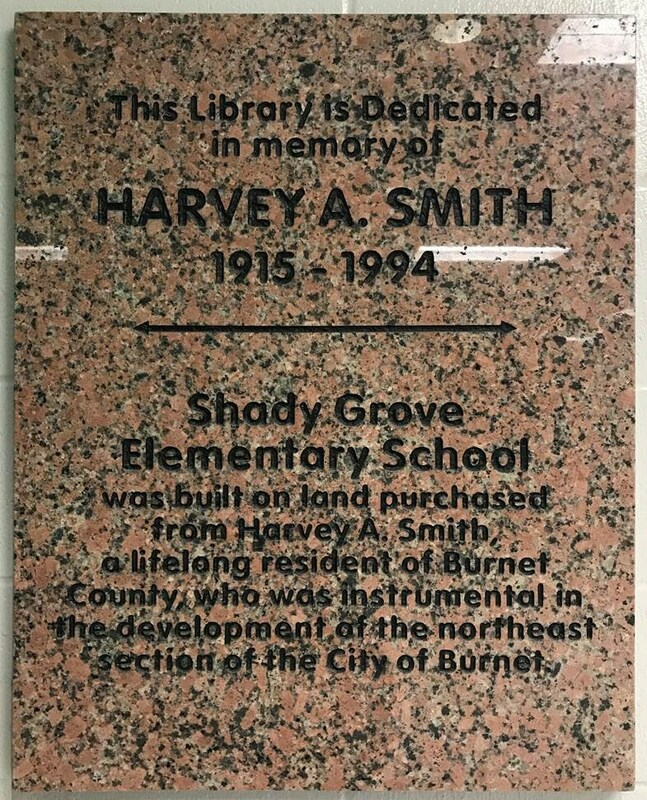 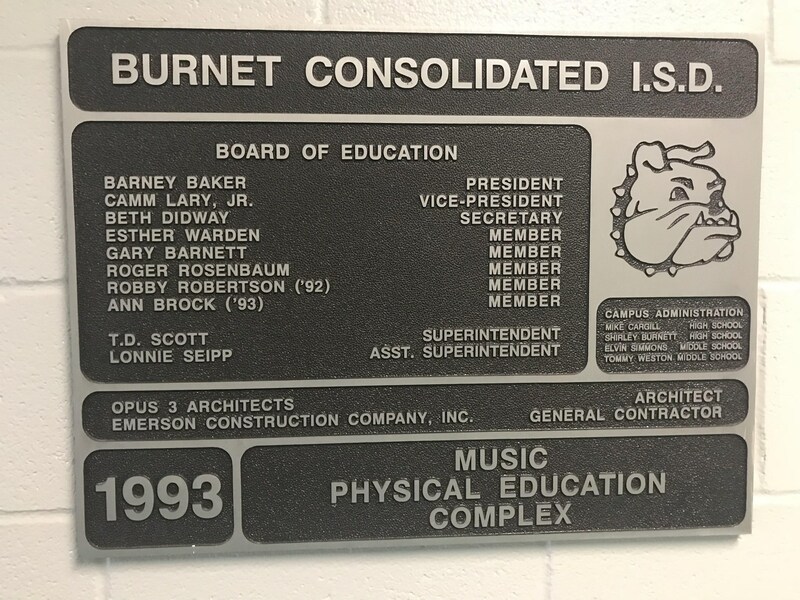 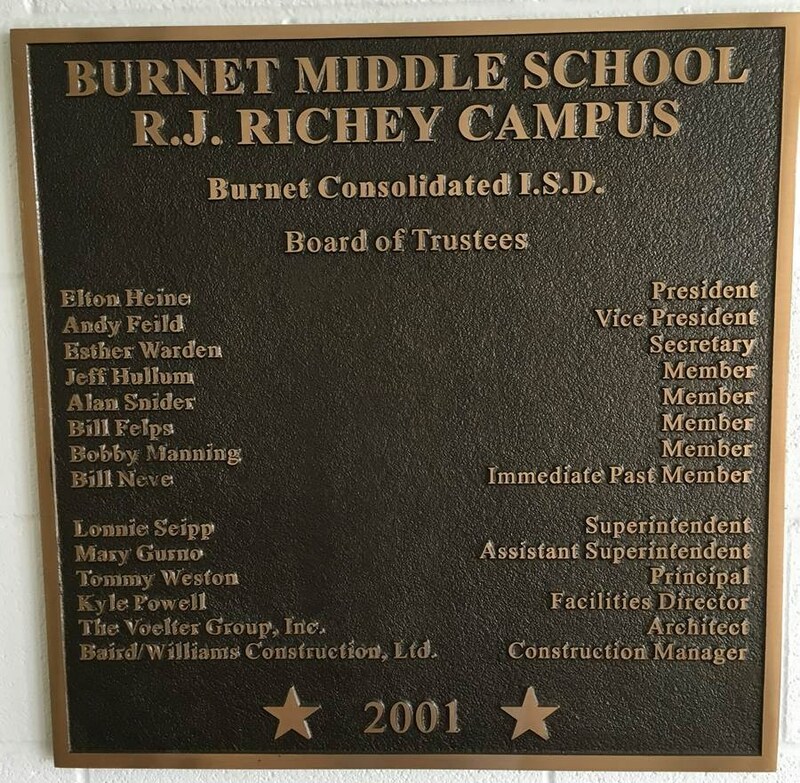 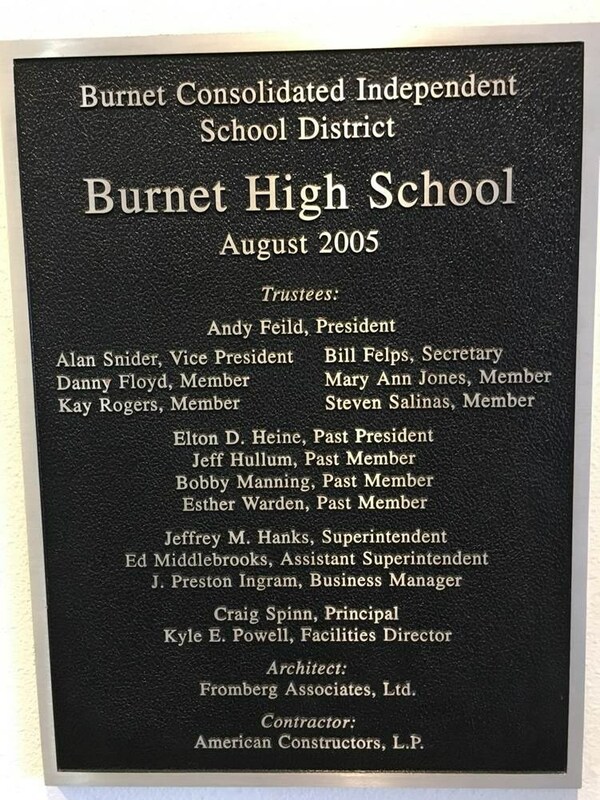 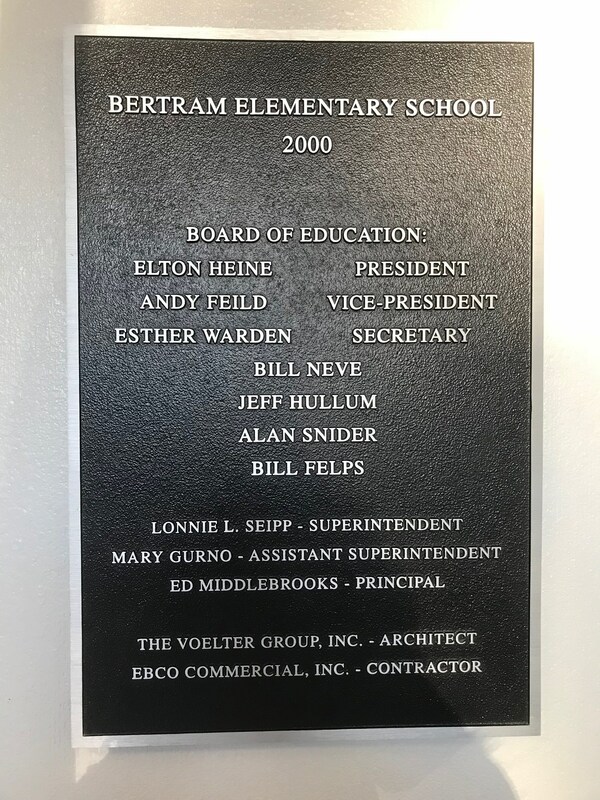 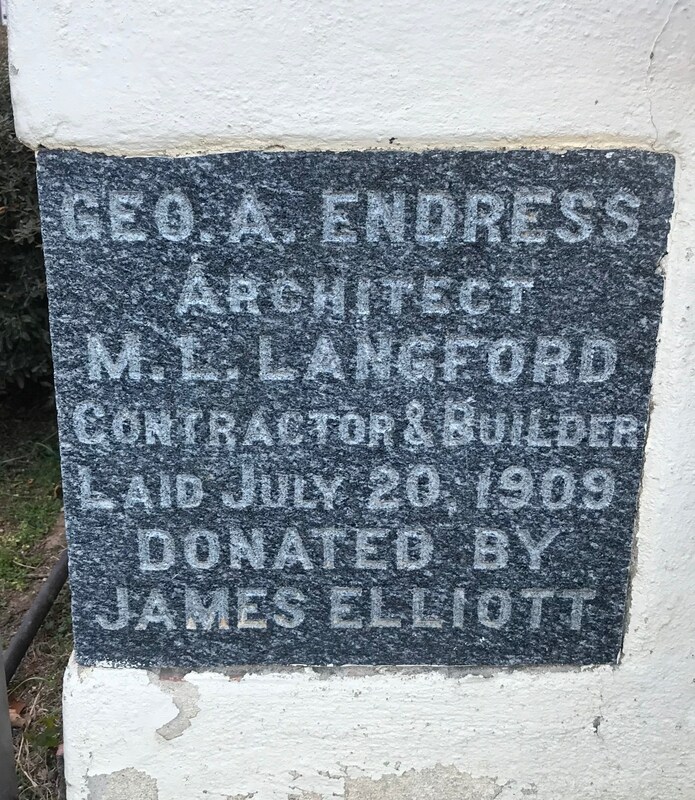 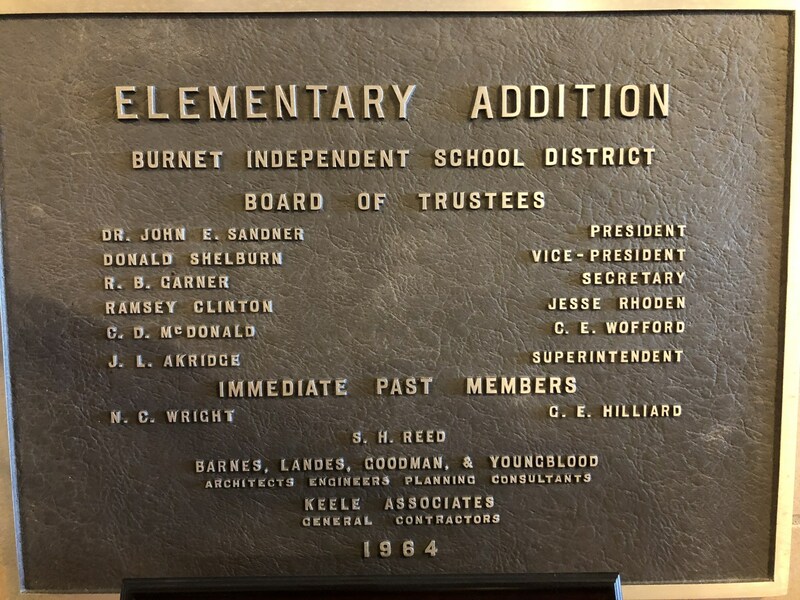 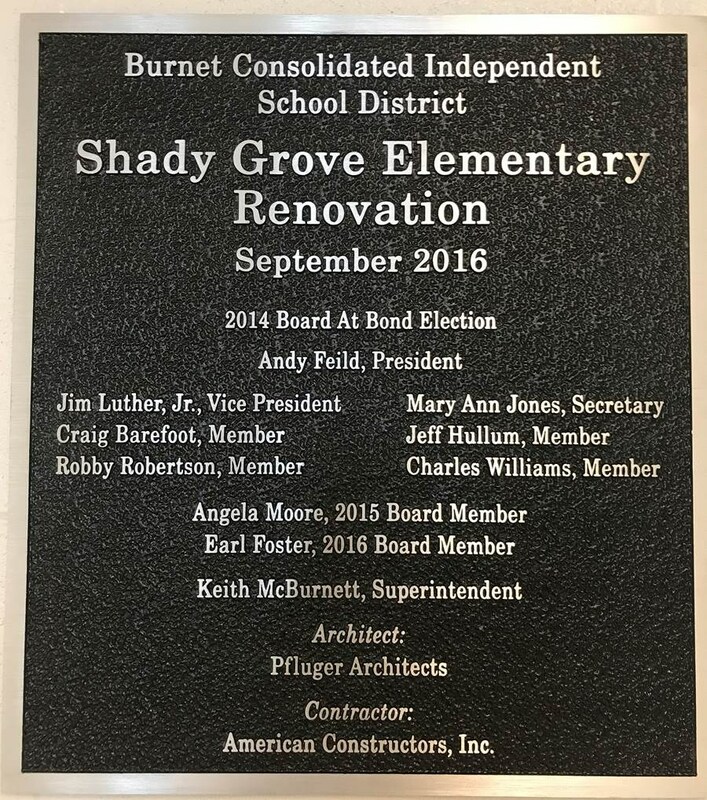 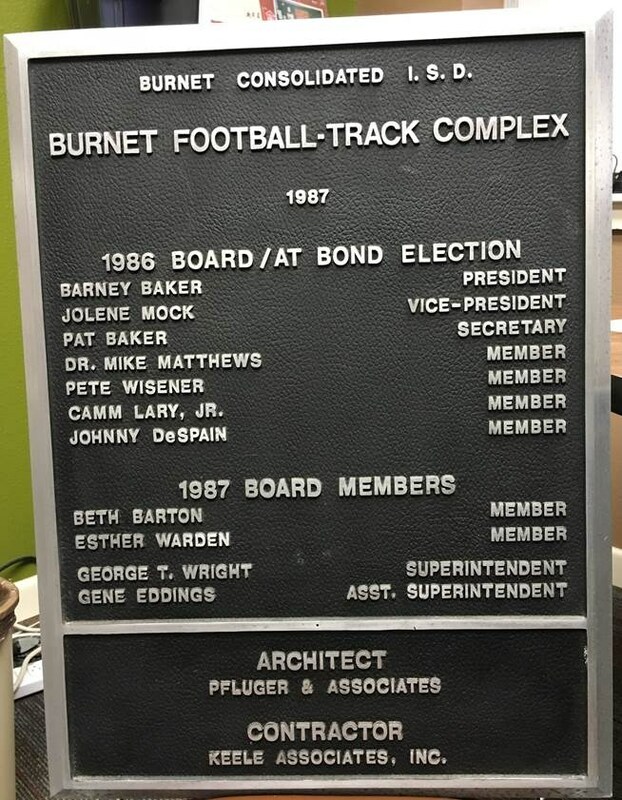 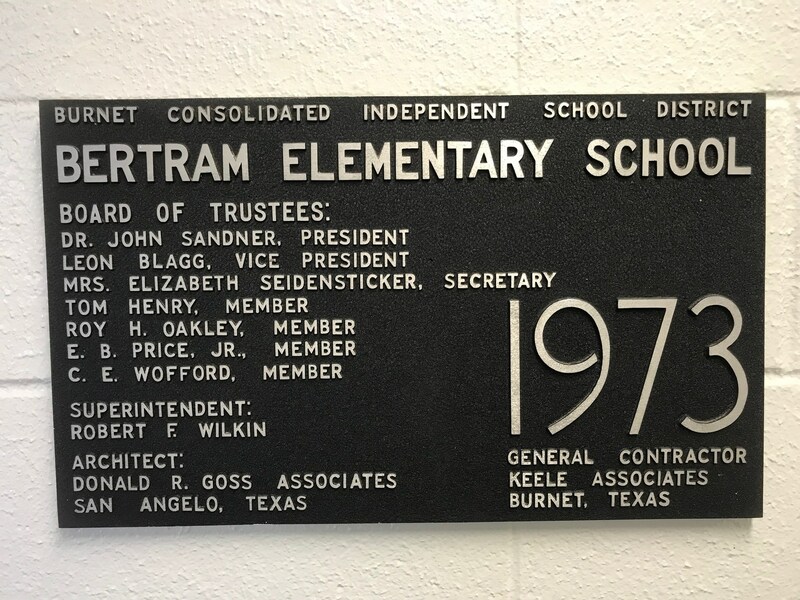 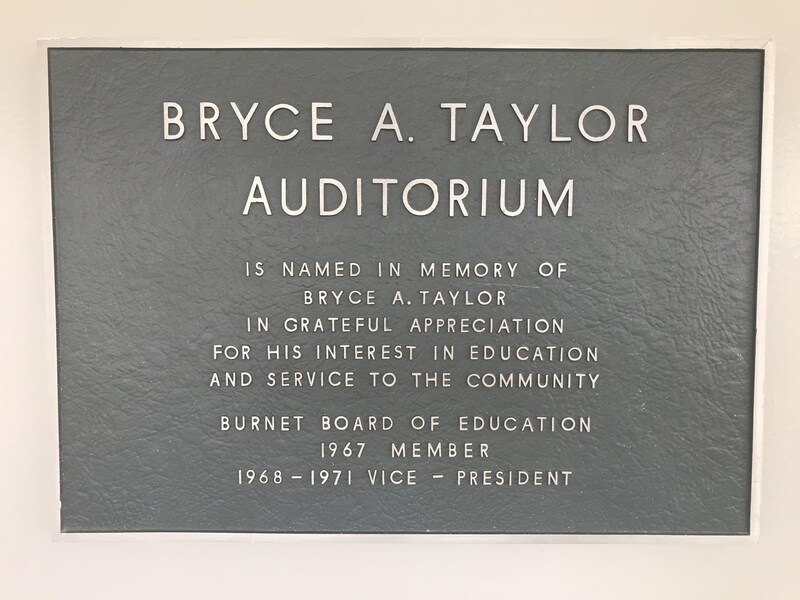 Building dedication plaques provide a permanent way to honor significant people and organizations that played a role in the construction of a building. 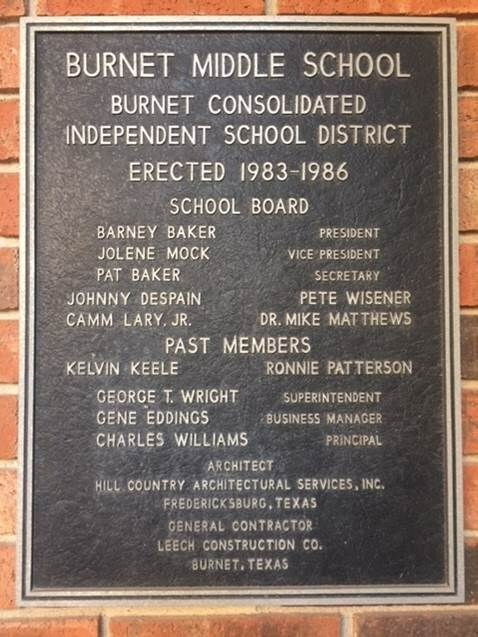 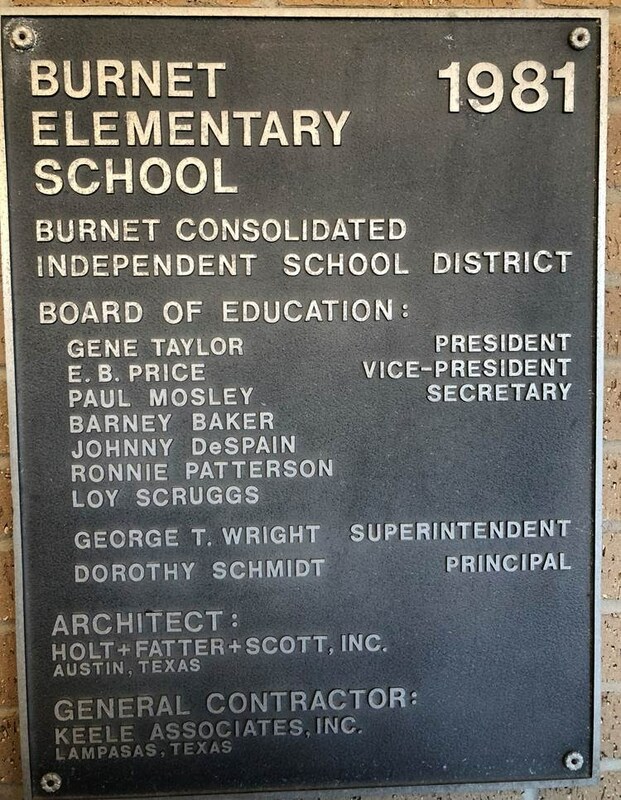 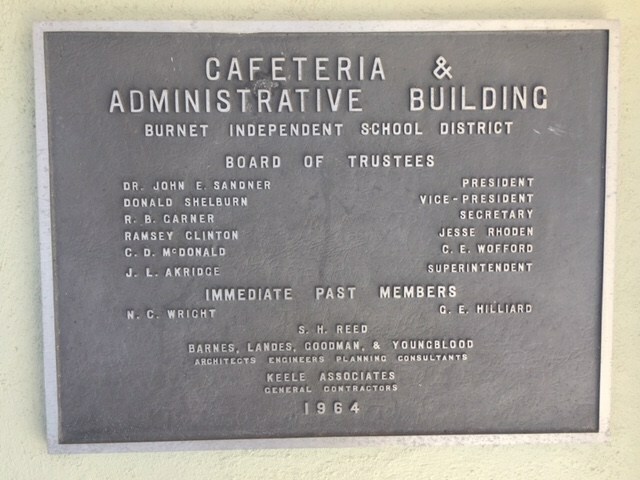 These lasting tributes also help to tell the history of a building and school district. 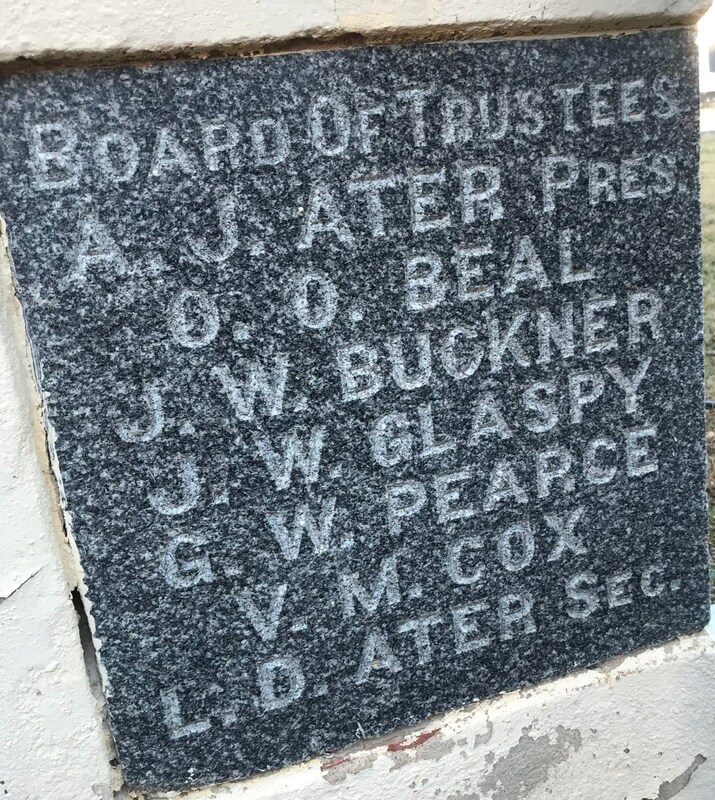 It should be noted that because some buildings are being utilized for different purposes today than when they were originally constructed, the plaques may list different names for buildings than their current use. 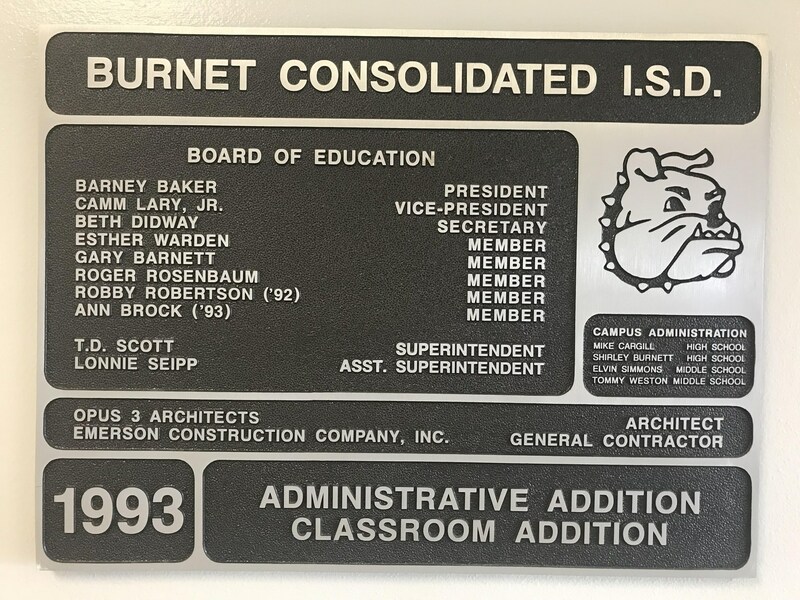 Building dedication plaques for each campus or facility can be viewed below.